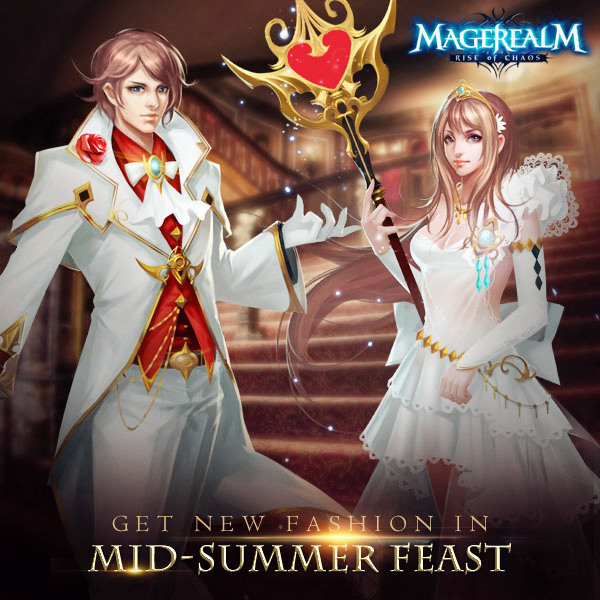 In order to reward the brave champions of Magerealm for their heroic efforts, the Magic Council has decided to throw a Mid-Summer Feast, and everyone is invited! However, there is one requirement: that everyone show up in formal. This has put our champions in a conundrum. On the one hand, they would all like to attend, on the other hand, none of them knew how to acquire proper party dress. Luckily, Head of the Council told everyone they can forge an elegant party dress by collecting 99 dress shards, and that those shards can be found in Chests of Wisdom and Valor. Champions can acquire them by completing quests. They even have a chance to get shards directly. So what are you waiting for? Rely on your wisdom and bravery to procure your formal wear. You are being expected at the feast!